OnePlus, a relatively new Chinese phone manufacturer, spiced up the smartphone market in spring of 2014 with the release of its OnePlus One smartphone. The goal of the OnePlus One was to be a “Flagship Killer,” by bringing high-end, no compromise specifications to a mid-$300 price tag unlocked, around half of what one would pay for a Galaxy S6 or iPhone. However, the OnePlus One was released over a year ago, and a OnePlus One successor is a bit overdue. 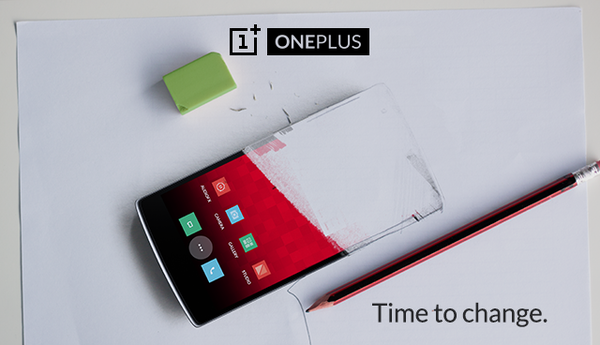 OnePlus tweeted: “We’re always looking for ways to shake up the tech industry. And we think it’s time for change. Find out more June 1st.” June 1st is most likely the date we will see the OnePlus Two, but it will come with a catch. Like its predecessor, the phone will be sold on an “invite-only” system at first, requiring potential buyers to have an invite to purchase the phone. This system caused lots of controversy last year with the OnePlus One, turning off many potential buyers. However, OnePlus feels it is necessary because they are a small company, and their demand is much higher than their supply. The OnePlus Two is expected to keep the 5.5-inch display found on the One, while bumping up specifications to a Snapdragon 808 or 810, 3GB of RAM, improved 16-megapixel camera, along with a larger 3300mAH battery. The Two is most likely going to be running OnePlus’ own Oxygen OS, which is basically stock Android Lollipop with a few enhancements, similar to Motorola’s approach on the Moto X. The OnePlus One was one of my favorite phones from last year, bringing a solid all around smartphone experience with notably impressive battery life in a comfortable $300-350 price tag, and I’m excited to see what OnePlus will bring to the table with the Two. All I need now is an invite. Zain lives in Southern California, right along the beach in sunny Orange County. He is currently in high school and tech is always on his mind. Whether it’s the latest superphones or the hottest new PC, Zain is interested. When not obsessing over tech gadgets, you can find him sprinting hard for the high school varsity track team and finding good music on Spotify.